I've retired recently and made the mistake of commenting to my wife that I was getting bored. My wife being the wonderful woman that she is, commented "Well, I've got plenty of work for you to do." You'd think that after 34 years of marriage I would have learned by now to say anything like I'm bored. first serve basis and I will mail it to whomever wants it as long as it is in the continental US. Just PM me with a name and a address and zip code and I will send it out. It does have the install disk in the box and a bootdisk, so I think everything is in it otherwise it comes as it is. 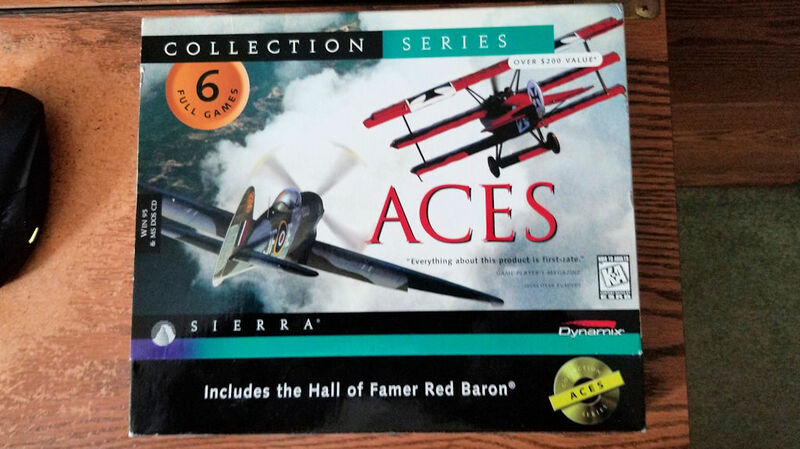 The Aces Collection has found a home. This thread is now closed. Thanks to everyone for their consideration. Good job! I'm glad you got it worked out.